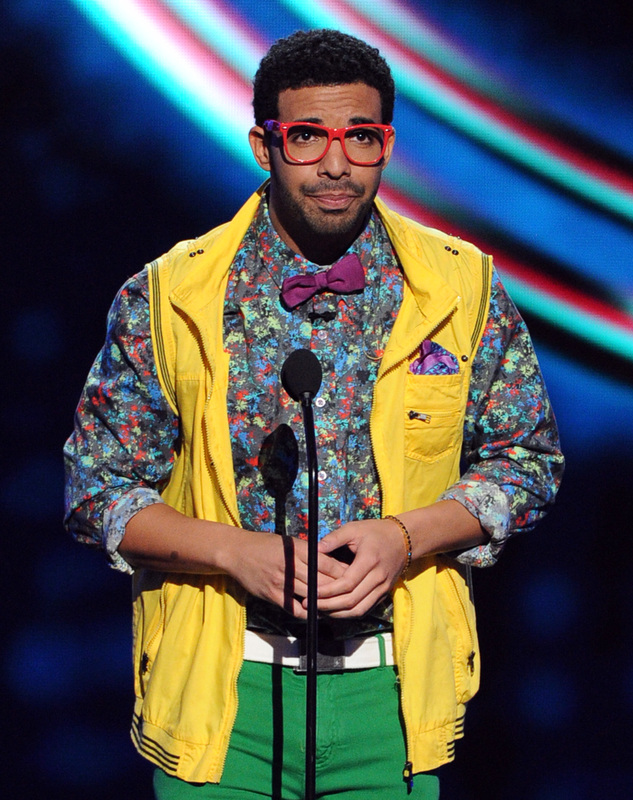 We already all know Drake is a multi-talented guy: He raps, he sings, he acts, he's hella meme-able. But seeing Drizzy as a youngster take part in an improv performance confirms that not only is he talented, he's also a low-key nerd. According to GQ, the Canadian Broadcasting Corporation recently released video of Drake doing improv at the Rivoli Theatre. The CBC dropped the footage as a means of promoting upgrades to the legendary theater, so any visitors to Toronto, be sure to keep it in mind! Anyway, supporting local Toronto theater aside, this look into a past life of Drake is just the trick to remind all Drake fans how much we love us some Drizzy, even in an old school, just-a-tad-too-large black tee and silly white sneakers he probably thought were really hip. Sometimes it can be hard to relate to the rapper, what with his constant champagne-popping, his rap feuds, and the whole being a huge celebrity sensation thing. But there's just something about a young Drake making a fool of himself in a local improv performance that really brings him back to Earth. The Champagne Papi wasn't always super cool and able to make zillions of dollars with the drop of a single. At one point, he really did start from the bottom and was just a dorky teenager who probably got really excited about performing improv in front of a crowd. At any rate, we definitely get a glimpse of the talent Drake exhibited even before he was a TV star turned rapper. His funky dance moves and poignant freestyle lyrics in the video — "You shouldn't be lifting weights because you have a baby. You shouldn't be lifting weights, he might get damaged, maybe" — really point to the man to come, especially since Drake has made a habit of killing it on Saturday Night Live in recent years. It also makes his journey to becoming that man way more relatable to dorky kids who took part in theater classes and improv clubs, too. It's not probable that Drake will ever get back into his improv career, but this brief foray into his past life is truly wonderful. To Drake as a teen improviser I say, "Yes, and!"